We hope you're having a fantastic 2019 so far! It's time to get excited as we kick off the new year with a celebration of Marvel's first ever family of superheroes: The Fantastic Four. 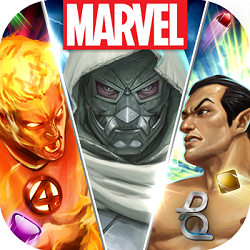 This brand new icon features the hot-headed Human Torch, the almighty God Emperor Doom, and the Atlantian prince, Namor! 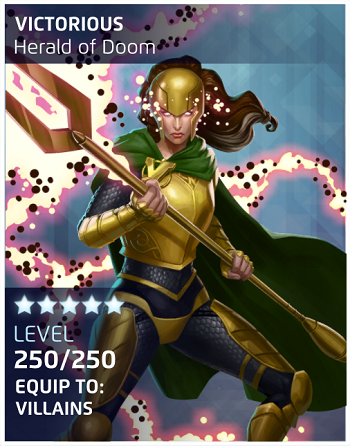 And yes, both God Emperor Doom and Namor will be playable characters coming soon to Marvel Puzzle Quest, so keep an eye out for more info! Players that log in any time between 1/8 - 1/31 will receive a 3-Star Human Torch (Classic) cover. The Fantastic Four and Silver Surfer have new comic covers for the celebration! Check them out in-game. Mr. Fantastic (Reed Richard)’s Champion Rewards are being updated to include Silver Surfer (Skyrider) covers. Doctor Doom (God Emperor) - Available In-Game! Namor (The Sub-Mariner) - Available In-Game!